The Levi’s® Film Workshop and iSupr8 have teamed up to bring you the most advanced mobile Super 8 film app in the world. The iSupr8 Levi’s® Film Workshop Edition features enhanced functionality and special Levi’s®-themed features. Once a staple of home movies and student films, Super 8 mm cameras are used by today’s filmmakers to achieve an authentic, vintage look. But if you don’t want the hassle of good old fashion film, or you can’t make it down to the Levi’s® Film Workshop in Los Angeles–download away and get busy turning your videos into gritty, grainy masterpieces. 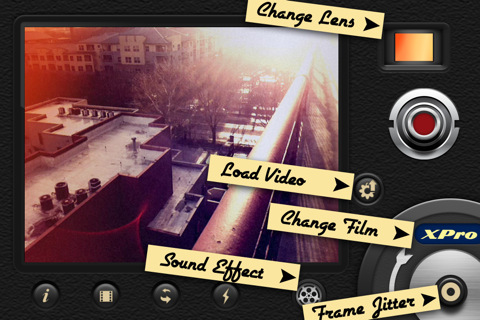 Silent Film Director will transform your videos into magnificent vintage and lomo movies. Simple. Fun. Elegant. Updated version doesn’t work with iPhone 3G. 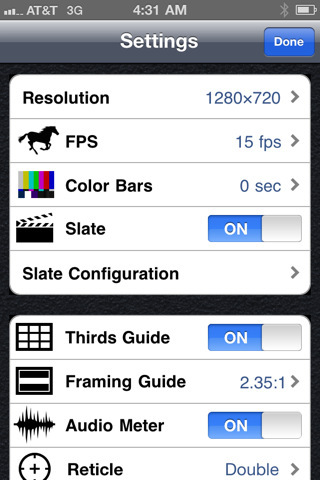 Make sure you have iPhone 3Gs, iPhone 4 or iPod touch 4 to run Silent Film Director. Mogo Video helps you capture life’s best memories from MOments aGO. Tap the mogo button and video is recorded starting a few seconds ago. Now you can see something happen before deciding to record it! Watch your toddler make his funniest face – then hit the mogo button! Watch your friends nail that skateboard trick – then hit the mogo button! Don’t mis-time your videos again, watch it happen, then mogo it! 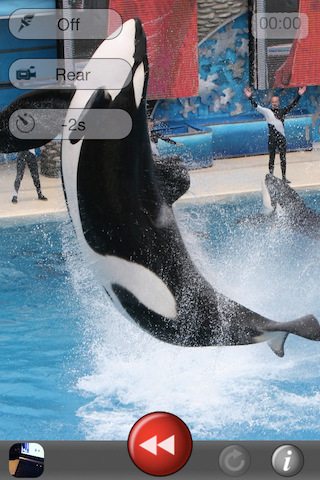 Full manual control video camera app for iPhone 4 with variable frame rates, transforming the best phone in the world into a very powerful, HD movie making machine. Animoto turns the pictures on your iPhone into beautiful music videos! It takes just a few minutes to make one, and then you can share and collect them with your friends. Make as many as you like–they’re totally free. – All your other iPhone pictures! When you’ve created some videos, head to Animoto.com to do more with them, like share with friends through YouTube, Facebook and MySpace. iPhone Video Recorder (for 2G and 3G iPhone) is a powerful iPhone oriented video recorder produced by DreamCatcher. The newly released version 3.0 supports on-the-fly (real time)recording to mov file with the video quality improved dramatically. iPhone Video Recorder for 3G iPhone can also record audio and video to the compressed mpeg4 format for space saving, an-hour-high-quality recording will be a file as small as 60MB. iPhone Video Recorder boasts a frame rate up to 15fps which guarantees better recording performance . With iPhone Video Recorder, recording is easy and enjoyable, you may play back the video, download it to a computer, upload to Youtube, or send it out by email as you wish. 7. Best Camera By Ubermind, Inc. Inspired by the phrase “The Best Camera Is The One That’s With You,” the award-winning Best Camera app lets you shoot, creatively edit and quickly share your iPhone photos with the world. The Best Camera app offers a powerful and easy-to-use set of filters and effects for your iPhone and iPod Touch photos that can be applied with the touch of a button. Stack them. Mix them. Remix them. The possibilities are endless. When you’re ready to share your images, Best Camera lets you quickly and easily upload them to Facebook, Twitter, Flickr, email and thebestcamera.com – our photo-sharing community exclusively for mobile photography, featuring a real-time gallery of mobile photography shot with the Best Camera app from around the world. 8mm Vintage Camera brings your iPhone and iPod Touch back in time to capture the beauty and magic of old school vintage movies. By mixing and matching films and lenses, you can recreate the atmosphere of those bygone eras with 42 timeless retro looks. Dust & scratches, retro colors, flickering, light leaks, frame jitters – all can be instantly added with a single tap or swipe.